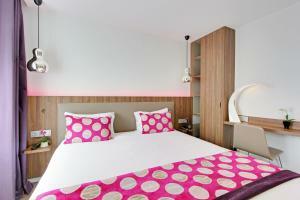 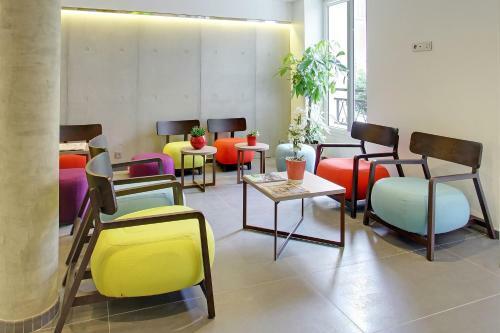 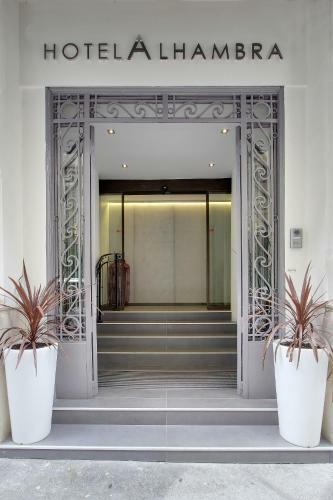 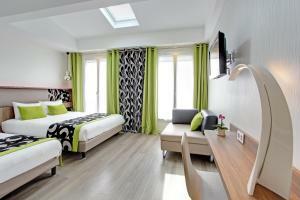 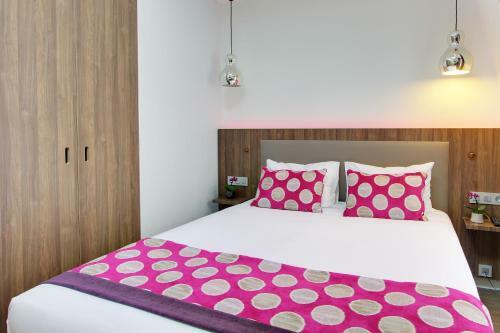 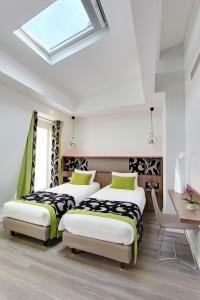 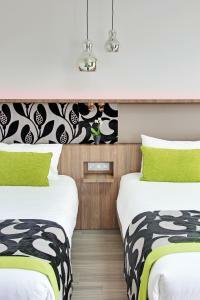 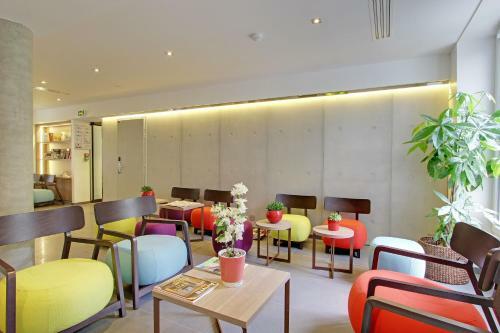 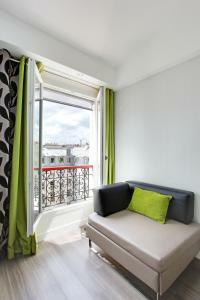 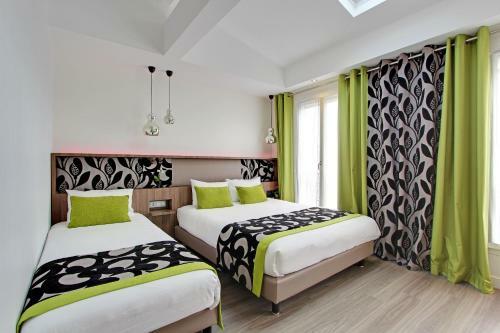 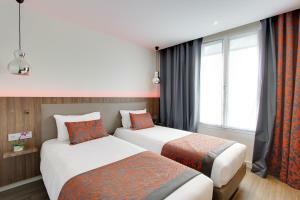 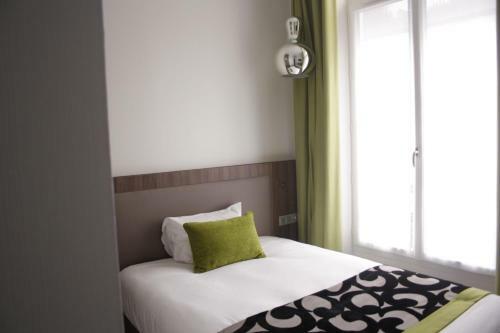 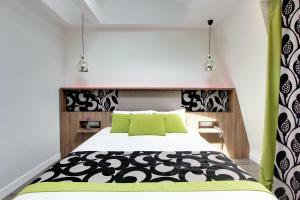 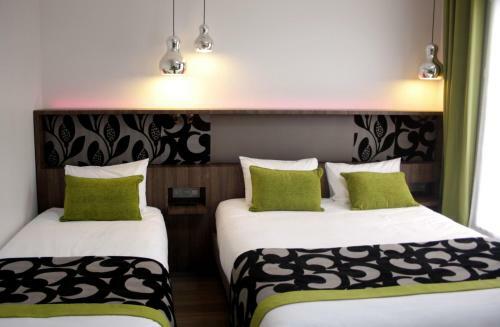 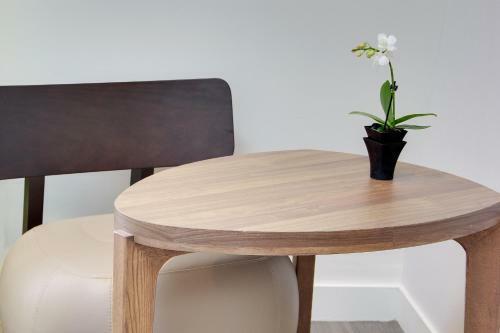 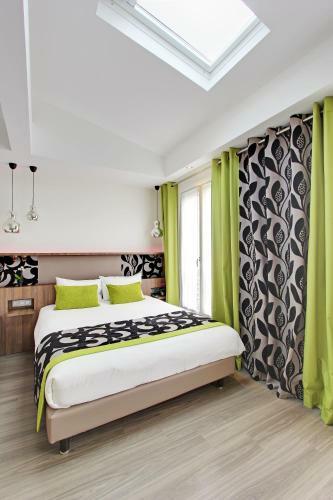 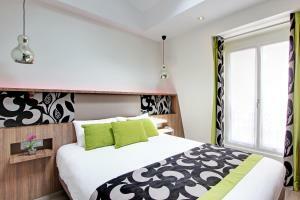 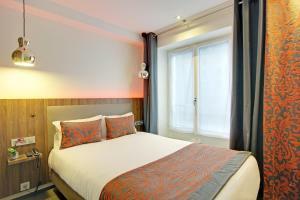 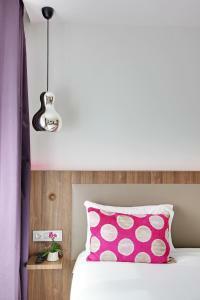 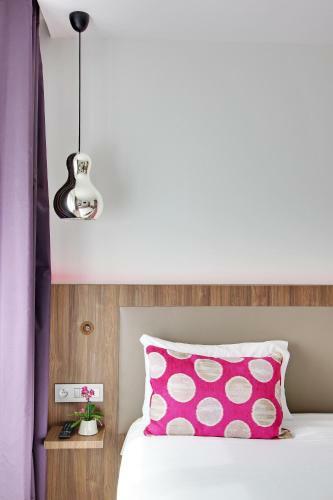 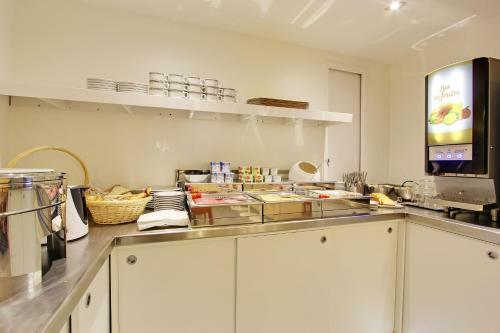 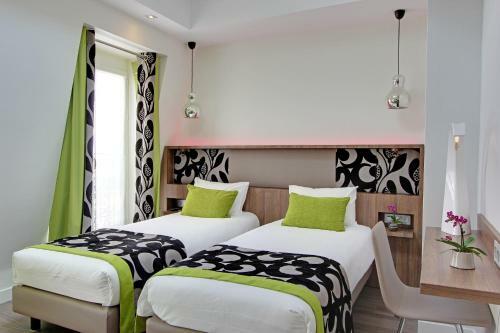 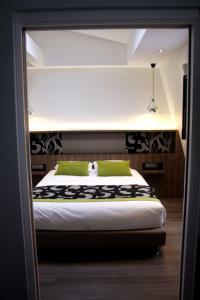 Hotel Alhambra is located in a lively area of Paris, a 2-minute walk from the Marais district. 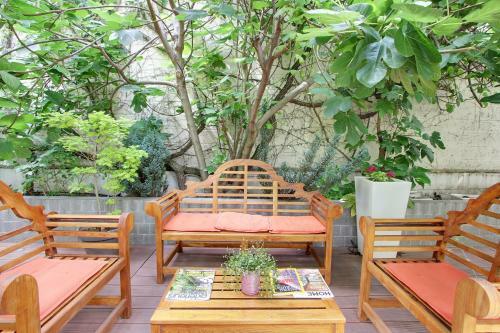 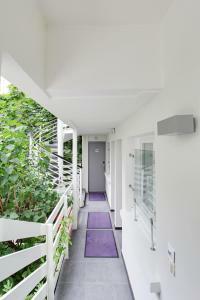 It features a 400 m² private garden, free WiFi and a shuttle to the airport. The soundproofed guest rooms are equipped with a flat-screen TV with satellite channels. 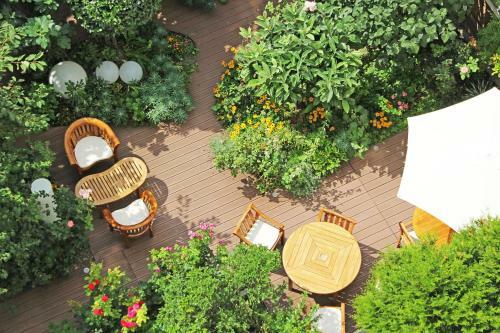 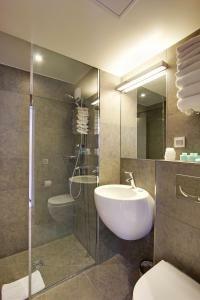 Most rooms offer a view of the garden and each room has a private bathroom with a walk-in shower. 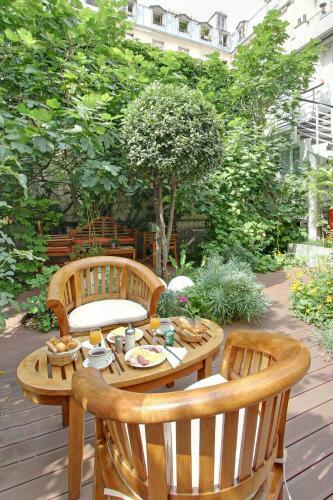 A buffet breakfast is served each morning and can be enjoyed in the breakfast room or on the garden's terrace, weather dependent. 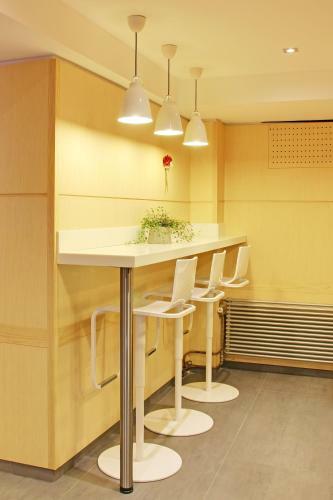 Other facilities at Hotel Alhambra include a 24-hour reception and a computer available at the reception that guests can use. 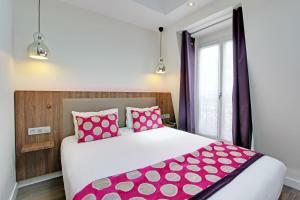 Popular entertainment venues, the Cirque d'Hiver and the Bataclan are just 100 metres from the hotel. 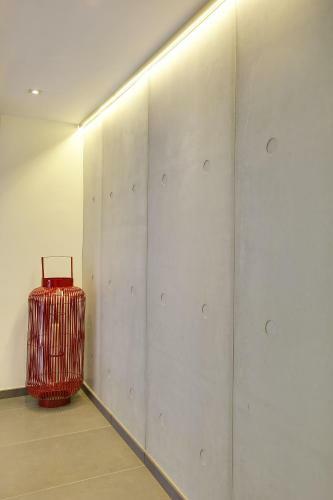 Oberkampf Metro Station is just 40 metres away and provides access to Place de la Bastille. 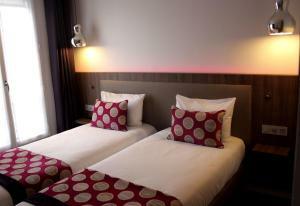 The hotel provides a shuttle service from the hotel to the airport at an additional cost. 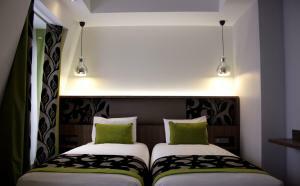 Please note that the credit card used for booking will be requested upon arrival. 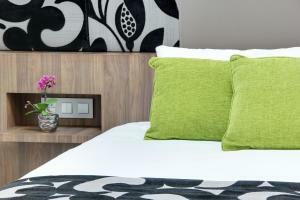 The name on the credit card and the name on the reservation must be the same. 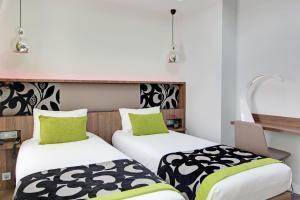 Please note that baby cots are available upon request and availability and have to be confirmed by the hotel. 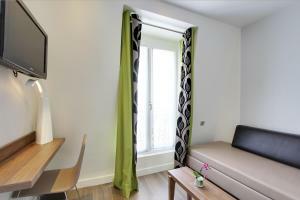 Opening onto the city or the garden, this air-conditioned room features an flat-screen TV with satellite channels, a telephone, a wardrobe and a desk. 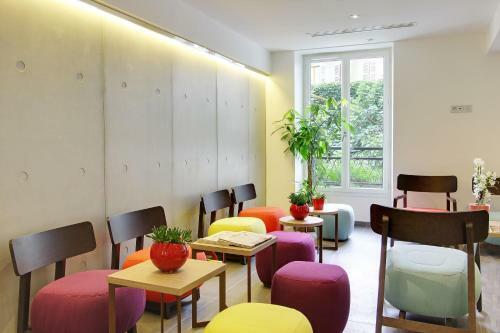 It is soundproofed and has parquet flooring. 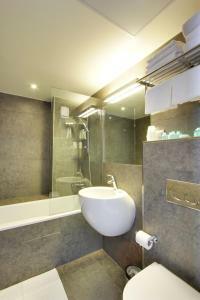 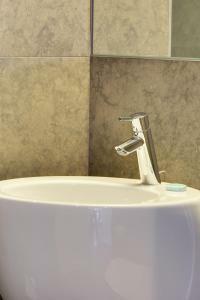 It also features a private bathroom with a shower, hairdryer and toilet. 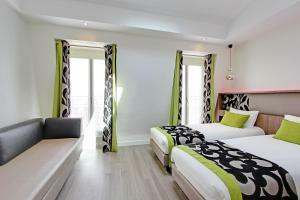 Rate: € 83.14 ... € 704.05; select dates below to get current rates. 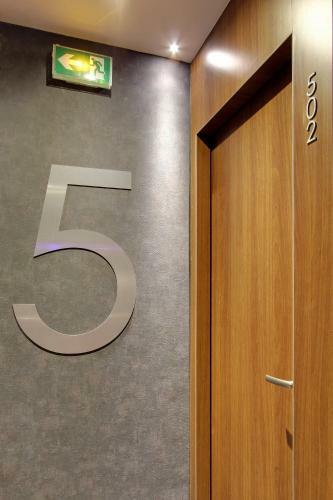 Opening onto the city or the garden, this air-conditioned room features an flat-screen TV with satellite channels, a telephone, a wardrobe and a desk. 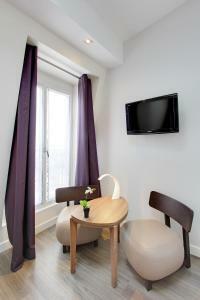 It is soundproofed and has parquet flooring. 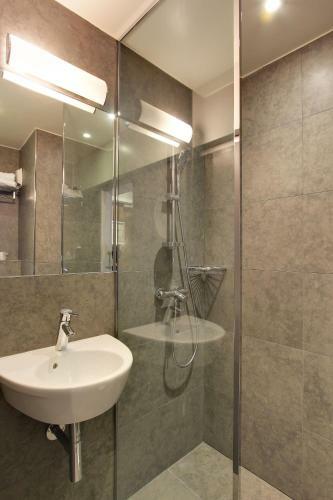 It also features a private bathroom with a shower hairdryer and toilet. Opening onto the city or the garden, this spacious air-conditioned room features an flat-screen TV with satellite channels, a telephone, a wardrobe and a desk. 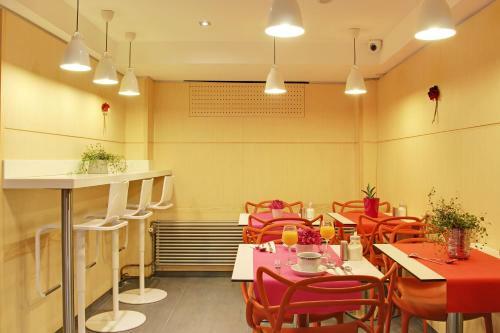 It is soundproofed and has parquet flooring. 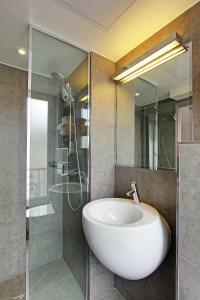 The private bathroom has a shower, hairdryer and toilet. Opening onto the city or the garden, this spacious air-conditioned room features an flat-screen TV with satellite channels, a telephone, a wardrobe and a desk. 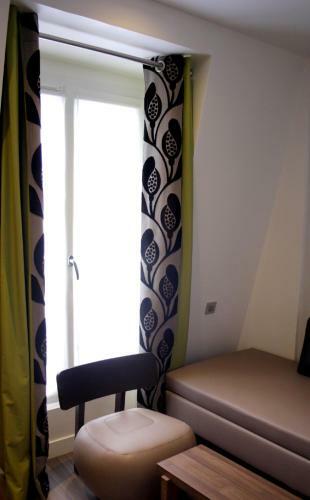 It is soundproofed and has parquet flooring. 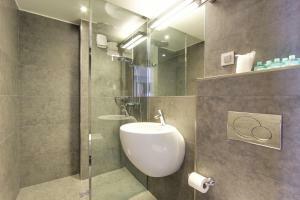 It also features a private bathroom with a shower, hairdryer and toilet. Rate: € 105.28 ... € 586.25; select dates below to get current rates. 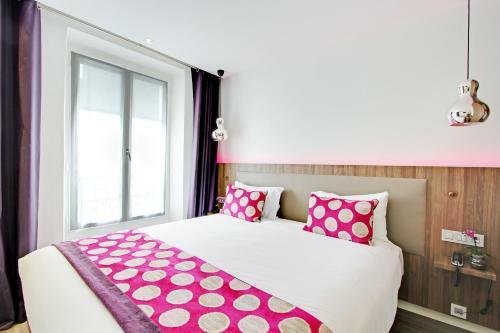 Opening onto the city or the garden, this spacious air-conditioned suite is composed of two areas, each with a flat-screen TV with satellite channels. 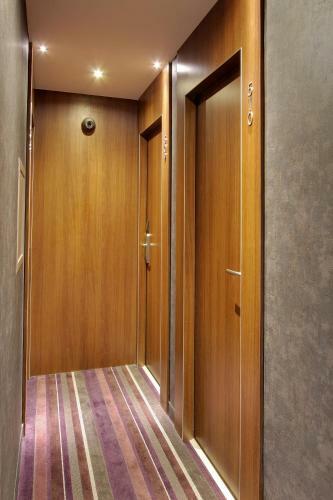 There is a telephone, a wardrobe and a desk. It is soundproofed and has parquet flooring. 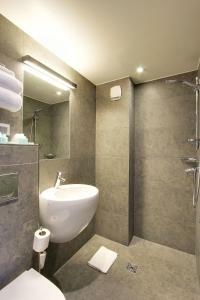 It also features a private bathroom with a shower, hairdryer and toilet.